Coin Collecting is a great pastime for anyone young and old alike! Coin collecting is no doubt a passion of yours as it is mine. My hope is that you will find a little pearl or gold nugget of wisdom that you can put to good use. Also, this site is being created to serve as a coin collecting guide for all. It will include all United States Mint regular issues from half-cents through double eagles and most everything in between. I will also include information regarding commemoratives as well. dates to fill some sort of coin album. 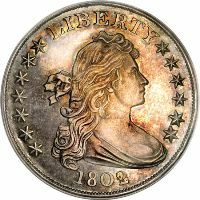 Other more experienced collectors search coin shops, shows, and auctions to add to their holdings. Still others get their start from an older relative who has enjoyed the hobby for many years. There are several reasons that someone would want to begin coin collecting as a hobby. Enjoyment comes up first on my list. Another reason could be from an investment standpoint. Some people will purchase rare coins strictly on an investment basis. Others turn their hobby into a business and become coin dealers. in all areas of numismatics. I do not claim to be a professional numismatist. However, personally I have over 28 years experience collecting and learning about this great hobby. In that time I have learned from other people, books, and online. In order to get the most out of coin collecting I would like to pass on a few general words of advice I have learned to those who are just starting out. To the seasoned numismatist this may seem rather basic but I feel they warrant mentioning. #1 Pick a focus. Coin Collecting is a very broad hobby encompassing all US regular mint issues, Commemoratives, World coins, Patterns, Errors you name it. A beginner can easily get overwhelmed. Narrowing the options will enable you to become specialized in your chosen series or denomination. A United States type set is a good alternative if you are having difficulty choosing an area. #2 Always buy the book first. Study and learn everything you can about the area you are collecting before you buy. This is a great money saving technique and you will expand your knowledge. Also, you will make better informed choices when it comes time to add to your collection. for the beginner and the seasoned collector alike. #4 Find a reputable dealer to purchase and learn from. This situation is ideal if it is someone you know. However, in most cases it's not. 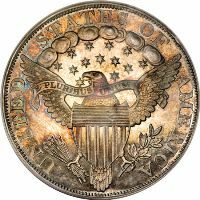 For the most part if a dealer is affiliated with different associations such as the ANA (American Numismatic Association) or the PNG (Professional Numismatic Guild) they should be reputable. Members of the PNG must adhere to a strict code of ethics. Also, if the dealer has a full membership with the PNG they must also show no less than $250,000.00 net worth at all times. Some small dealers may be very honest. However, you need to do your homework first if you are a beginner. If you truly enjoy the hobby this minor detail won't be a problem at all. I hope this information is useful. As this site evolves it will contain an ever increasing amount of numismatic knowledge so please be patient while Rome is being built.